Our experience dates back to the 1970’s with the B. J. Alberts Company in Wichita, Kansas. I-CON Solutions opened for business September 1, 2003. Steve Clary and John Frazier incorporated the new company to promote instrumentation and control product lines and provide solutions. I-CON Solutions is a sales representative and stocking distributor for a wide range of valves, valve automation, controls, instrumentation and process equipment. We can provide instrumentation and control products for essentially anything that is on a P&ID. Our support and sales team provides products for clients throughout the Midwest. Since our formation, I-CON Solutions has been recognized as a leading supplier of quality solutions. Our team consists of customer service, sales, engineering and support personnel with over 95 years total experience. 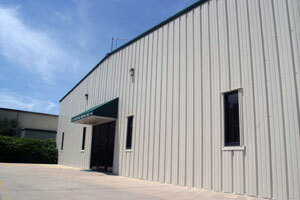 I-CON Solutions is based in Wichita, Kansas and is comprised of over 16,000 sq. ft. of inventory, showroom and office space. Many products are in stock and available for same day shipment from our facility. At I-CON Solutions, we consistently work for your business, and we appreciate the opportunity to prove our commitment, experience and professionalism every day. Our promise to you is that from the time you call for help, to obtain a quote or place an order, you will be provided with the best service in the industry.